Heading up the podiatry team at Advanced Foot & Ankle Care Specialists in Dallas is Kennedy Legel, DPM. Dr. Legel is board certified in foot surgery by the American Board of Foot and Ankle Surgery. To best serve patients in Greater Dallas, Dr. Legel designed his practice to follow a community-based approach that focuses on practical patient education and a real understanding of a wide range of foot and ankle conditions. 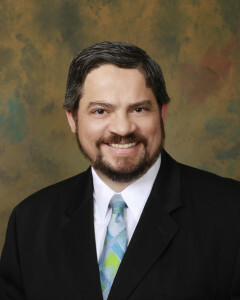 Before launching his independent podiatry practice in 2013, Dr. Legel had already gained a solid reputation and amassed technical expertise in his chosen field. He received his Doctorate of Podiatric Medicine from the Dr. William M. Scholl College of Podiatric Medicine in Chicago. Prior to earning his DPM, he graduated from Florida Atlantic University with a B.S. in biology (biotechnology and gene therapy). A rigorous three-year foot and ankle surgical residency gave him the opportunity to work with one of the nation’s leading researchers in podiatric wound care. During his residency, in Miami, FL, Dr. Legel joined humanitarian missions treating children abroad with the Yucatan Crippled Children’s Project of Mexico. Patients at Advanced Foot & Ankle Care Specialists now benefit from the doctor’s focus on both preventative and reconstructive foot and ankle surgery, as well as diabetic limb preservation surgery. Dr. Legel constantly studies the latest techniques, theories and medical technologies used to treat foot and ankle problems. When not running his practice, Dr. Legel spends time with his family, including his wife and 3 sons. His interests include watching football (particularly the Miami Dolphins), fishing, and cooking. He is also a member of the CCA (Coastal Conservation Association) and is a Board Member for Holy Trinity Academy at Holy Trinity Greek Orthodox Church. To find relief from foot or ankle pain including bunions, plantar fasciitis, heel spurs, hammertoes, toe disorders and more, contact our Dallas podiatry office online or call (214) 366-4600.